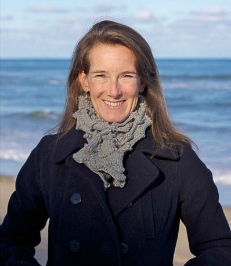 Originally from Easthampton, Massachusetts, Cathy has lived and worked on the Lower Cape since 1991. With an extensive background in retail sales as well as a seven and a half year career as a successful and active Realtor serving the Outer Cape, it is safe to say, Cathy thoroughly enjoys meeting and helping people in a variety of capacities. She is thrilled to join Drs. Toomey and Ruffner and their outstanding team and is committed to helping all patients of the Outer Cape Dental Group with their myriad of practice and scheduling needs. Cathy, her husband Tom, and their twochildren Aubrey and Dylan live in South Wellfleet. When she is not at work, Cathy can most likely be found: out hiking the Seashore with her favorite canine companion Maisy, surfing and SUPpping, gardening, training for a very good cause (i.e. the Avon Walk or the Swim For Life), knitting or simply being grateful she gets to live and work in the same cool town.